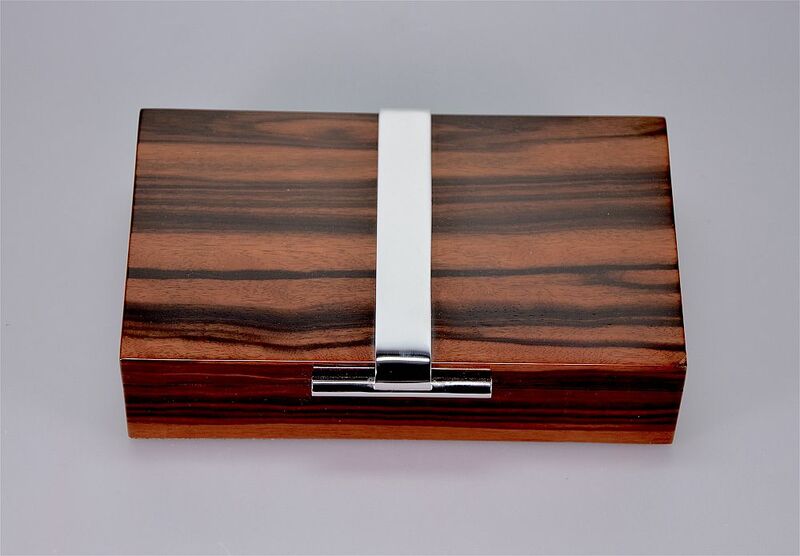 This absolutely magnificent macassar ebony & chrome box was made in the 1930s. 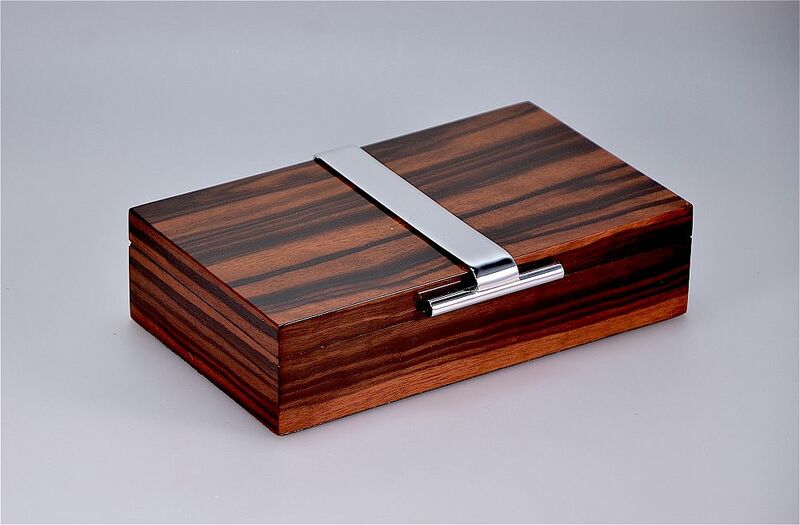 Running vertically down the centre of the lid of the box is a chrome band that curves over the front and ends in a chrome rod that forms the fastener. 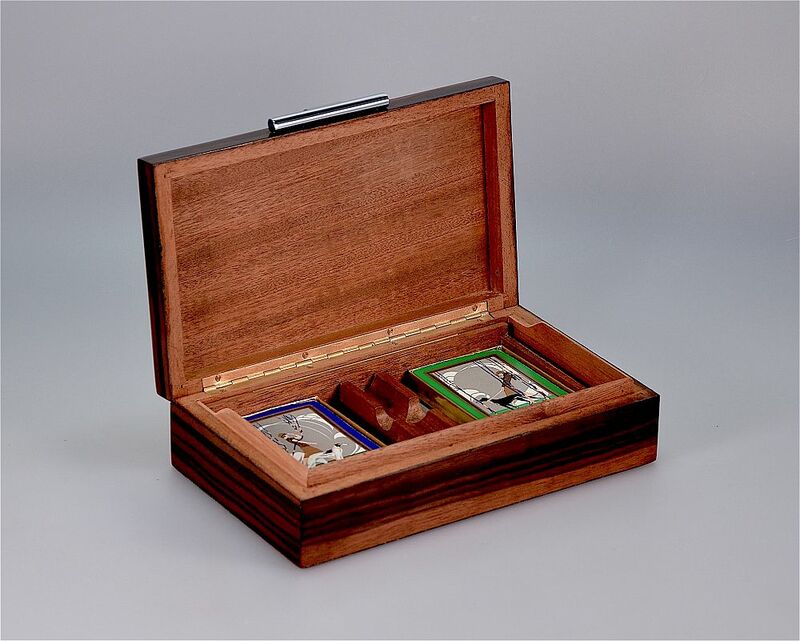 The hinged lid opens to reveal an inner wooden compartment that is itself hinged at the top of the back of the box and has a brass slide down one side that should be attached to the inside of the lid so that the compartment lifts up as the lid opens. The small screw or nail that attaches the lid to the top of the brass slide is missing so that the compartment does not lift up with the lid. 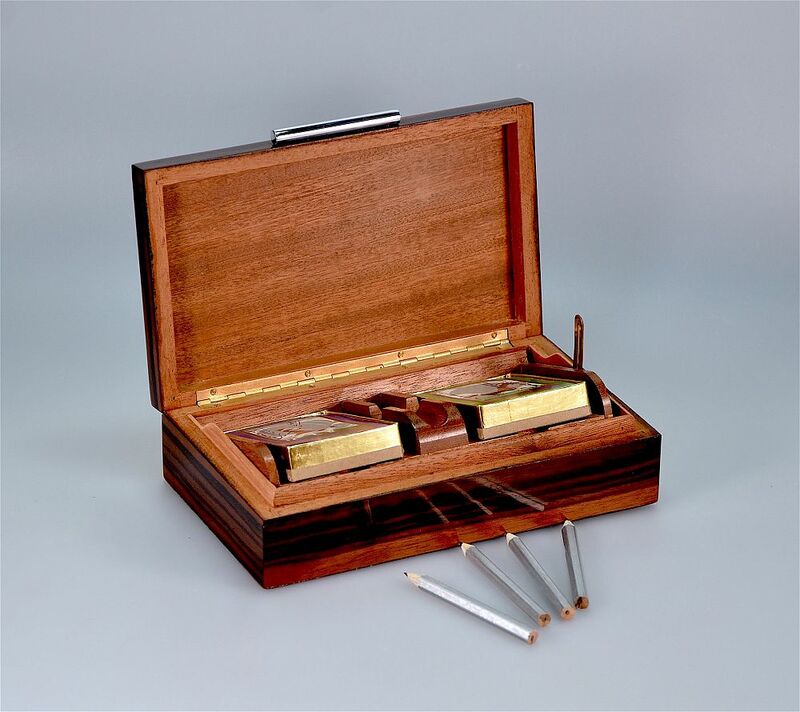 The compartment is divided into two by a central grooved section that would hold pencils or small pens. 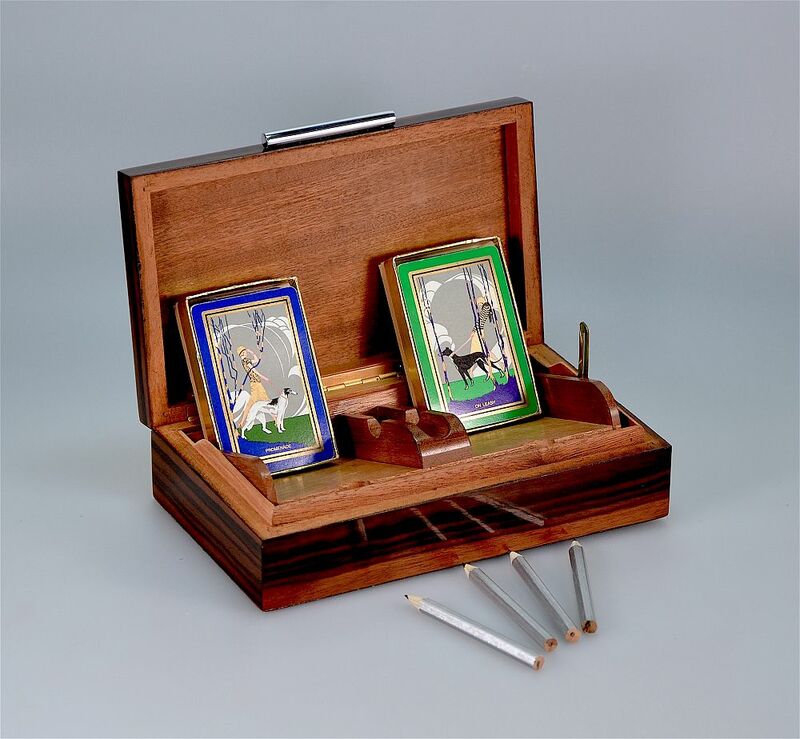 There is a pack of cards in each of the sections, both have gilded Art Deco scenes of women walking dogs, one is blue edged with a woman walking a Borzoi entitled "Promenade" and the other is green edged with a woman walking a black greyhound entitled "On Leash". Each pack is in a gilded carboard container. Both packs are complete except for Jokers. There are 4 small pencils that are not original. This is a wonderful item!